The generosity, leadership and influence of Marv Kay ’63 is felt far and wide by the Mines community and beyond. Celebrate Kay’s induction to the Colorado Sports Hall of Fame and all he has done and continues to do for the university to enhance Mines’ past, present and all of its possibilities. To honor his legacy, April 11, 2019, will officially be proclaimed Marv Kay Day in the state of Colorado, the town of Golden and the Mines campus, and the current Maple Plaza will be unveiled as Marv Kay Way in a celebration from 3:30 p.m. to 5 p.m. – a great kick-off to this year’s E-Days festivities. A longtime Mines coach and administrator, Kay will be formally inducted into the Colorado Sports Hall of Fame on April 3 during a banquet at the Hilton Denver City Center. Fellow Class of 2019 members are Olympic gold medalist swimmer Missy Franklin, Nordic combined silver medalist Todd Lodwick, former NFL standout Daniel Graham, longtime Wray High School wrestling coach Bob Smith, and track standout and Special Olympics and Paralympics contributor Tom Southall. Perhaps the most enduring symbol of Kay’s influence is the Mines football stadium that was named in his honor and opened in 2015. He’s equally famous for being the inspiration for the Mines mascot, Marvin the Miner, and delivering the Spring Commencement keynote in 2016. Already a member of the Mines and RMAC Athletic Halls of Fame, Kay has been one of the most influential individuals in Colorado School of Mines athletics during his more than 40-year career. 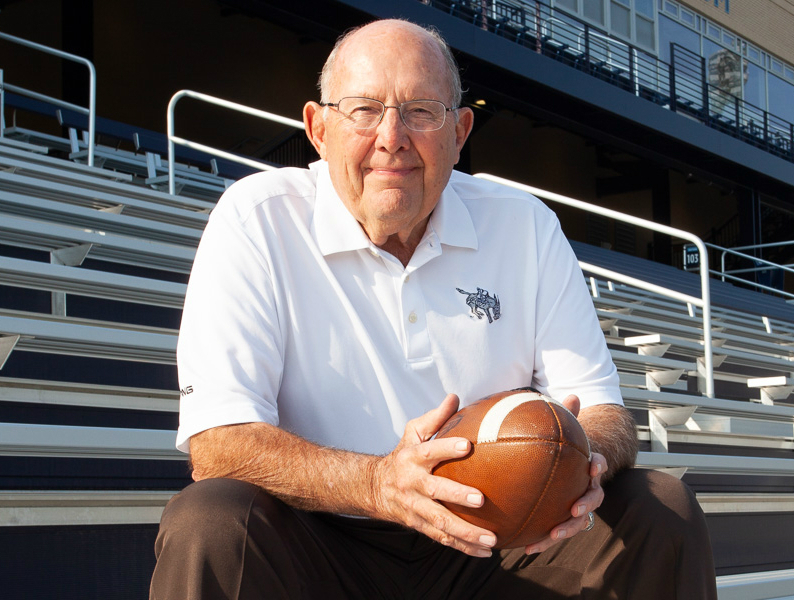 He has spent a lifetime as a student-athlete, coach, administrator, professor and fundraiser at Mines. "Everyone in the Colorado School of Mines community is proud of Marv Kay for being elected to the Colorado Sports Hall of Fame," said Mines director of athletics David Hansburg. "Rarely do we see people like Coach Kay who have committed their entire life to one school and the surrounding community. Marv Kay is clearly the greatest Oredigger of all time and this honor is well deserved." Kay was born across the street from the Mines president’s house 80 years ago when his father was a junior at Mines. 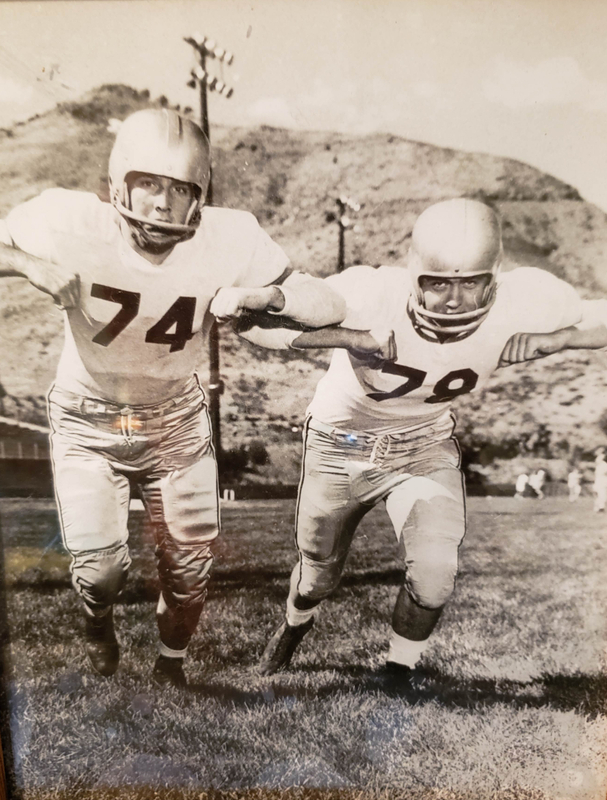 Growing up playing high school sports among the mining towns on Colorado's Western Slope, the man who would devote most of his life to Mines never saw himself headed anywhere else. As a student-athlete, Kay lettered in both football and wrestling, and was an All-American lineman in football. He was also president of his junior class, the fraternity Sigma Phi Epsilon, and was Mr. Engineer during E-Days. After graduating with a degree in engineering in 1963, Kay served in the U.S. Army Corps of Engineers for two years before returning to Mines to coach swimming and football. He became the head football coach in 1969. Over the next 26 years, he won a then-school-record 84 games (he still ranks second), was the RMAC Coach of the Year in 1975 and 1979 and coached 13 All-Americans and 50 All-Conference Players. After his coaching days, he was the Mines athletic director for nine years. Kay’s influence and leadership reached beyond campus to the greater community. He served as the mayor of Golden from 1988 to 1996, a member of the City Council from 1986 to 1998 and president of the Golden Chamber of Commerce in 1983. He was also recognized by the chamber as Outstanding Citizen in 1988 and 1993. Kay was a founder of Leadership Golden in 1984 and continues to serve on the Golden Civic Foundation Board, where he has been a member since 1986, serving as president in 1987 and 2003. Kay has been a part of the Mines and Golden community for more than 60 years and has made a lasting impact on students, athletes, colleagues, friends and family. The Mines Alumni Office is collecting memories and stories of Kay for a special keepsake in his honor. RSVP and share your Marv memories online at https://bit.ly/2Cu20L0.